Walls and floors of showers and wetrooms need to be properly tanked to prevent damage to tiling backgrounds and substrates due to moisture ingress. 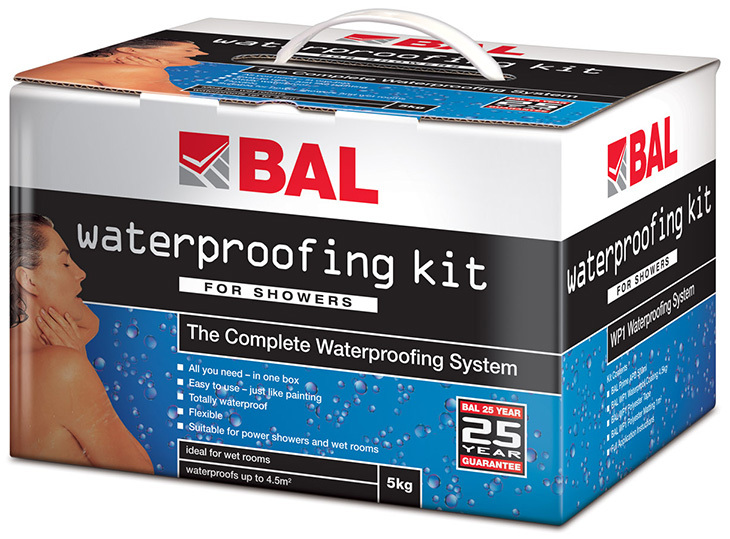 The BAL WP1 Waterproofing Kit for showers gives you all you need to make them fully waterproof. A flexible, seamless and complete waterproof tanking system designed for use on internal walls and floors prior to the fixing of ceramic tiles. Comprises an acrylic-based flexible coating, polyester tape, polyester matting and acrylic primer. It provides a totally waterproof barrier that is also suitable for use in areas where movement may occur e.g. around drainage channels, junctions between floors/walls etc for both commercial and domestic applications.